This year the Institute for Peace and Justice Education is launching the Unsung Heroes Award, to be given to an outstanding “quiet hero” that has helped “sustain, rebuild and heal” Lebanon. Check out the details of the call for nominations. Nominations are due July 31 and must include the name of the individual, a description of his or her activities and achievements, and of the impact his or her work has had on the Lebanese society. Relief workers, teachers, doctors, nurses, firefighters or others who can motivate Lebanese youth to become active participants in the development of their homeland can be nominated. Ghosn said they are looking for somebody who is not well-known. According to her, the purpose of the award is to inspire people and demonstrate the importance of community engagement through real-life, everyday examples drawn from those who live and work among them. “Today’s youth are often really disillusioned about what is happening [around them] and feel that they are powerless. … Something like this will show that an individual, an ordinary person can do something, and then maybe they will be encouraged to do something themselves,” said Ghosn. An anonymous foundation is sponsoring the project, while IPJE is administering it with the help of a steering committee consisting of Ghosn, Dr. Walid Moubarak (assistant dean of the School of Arts and Sciences in Byblos and IDCT director), Dr. Dima Dabbous-Sensenig (assistant professor and IWSAW director), and Dr. Iwona Safi (Beirut Human Rights Film Festival co-director). A committee composed of LAU faculty, staff, alumni and students will select the award recipient. At the Recognition Dinner in October, an award of $6,000 will be offered to an organization of the hero’s choice. “There are a number of initiatives like this around the world, and I think that this is a very good idea for Lebanon,” said Ghosn. She hopes the event will be repeated every year, so “that over the years we can identify individuals from different walks of life.” In addition, a book about Lebanese unsung heroes may be in the works. 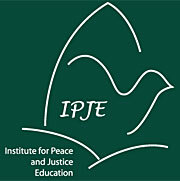 To learn more about the call for nominations, visit the Unsung Heroes Award page of the IPJE website.